This is a CLR project. I'm importing two DLL files with the same name, quizz.dll (I rename the old version as legacyquizz.dll) and I include the newer version as quizz.dll into a legacy converter test project. (The legacy converter project being tested only imports the old quizz.dll). This is the error I'm getting . . .
An assembly with the same simple name 'Quizz, Version=2.0.0.1, Culture=neutral, PublicKeyToken=null has already been imported. The path it's pointing to is the destination of the newer version of quizz.dll. What is a "simple name" in this context? Rename one of the assemblies from the project's properties and recompile. 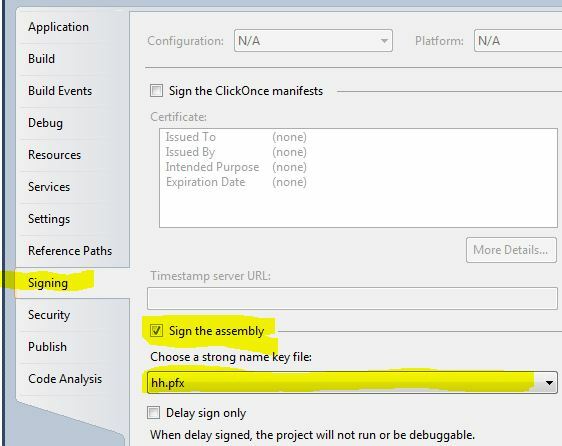 Set up Strong-Name Signing on the assembly to allow two separate versions of the same assembly to coexist. I too seems this problem in my project. I had changed my dll path to another folder, and changed the reference path too for the same(dependency Layers). It will work. No duplication occurs. Not the answer you're looking for? Browse other questions tagged c# visual-studio dll namespaces clr or ask your own question. How to reference two similar files and sign them to be side-by-side?